Massively popular media server software Plex Your Guide To Plex - The Awesome Media Center Your Guide To Plex - The Awesome Media Center If you have a lot of locally-saved movies and TV shows, you need to install Plex. And this is the only guide to getting started with Plex you'll ever need to read. Read More offers a sort of do-it-yourself Netflix or Spotify experience. While it’s excellent at serving media to client devices, there’s loads of additional functionality. For instance, Plex includes live TV and DVR capabilities Plex Live TV: Everything You Need to Know Plex Live TV: Everything You Need to Know Plex has added live TV channels to its service, but what exactly is Plex Live TV? 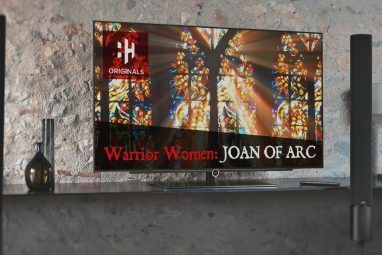 We have everything you need to know about this exciting new option for cord-cutters. Read More for cordcutters, news streaming integration, and a standalone music app called Plexamp What Is Plexamp and Why Do You Need It? 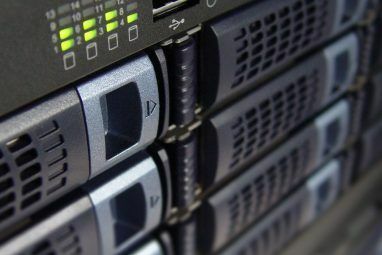 What Is Plexamp and Why Do You Need It? In this article, we're going to quickly explain what Plex Labs is, then move onto an in-depth look at its first standout app, a music player called Plexamp. Read More . 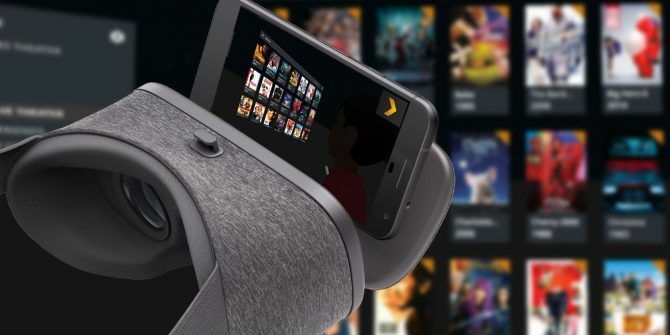 Plex has now added the option for users to watch content in virtual reality You Can Now Watch Plex in Virtual Reality You Can Now Watch Plex in Virtual Reality Plex has launched a new app called Plex VR. This means you can watch Plex in a virtual apartment or drive-in theater, and even invite your real friends along to share your virtual popcorn. Read More using the Google Daydream platform. This article details how to start watching Plex using Google Daydream, what it’s like to watch Plex in virtual reality, and whether it’s actually worth doing so. Plex previously introduced VR for the Samsung Gear VR with PhoneCast VR software. Unfortunately, this was limited to people with the Galaxy S8 paired with a Gear VR headset. However, third-party app Plevr sought to bring Plex to the Google Daydream View. Additionally, users reported a workaround for watching Plex with a Google Daydream using the Chrome Android app and in-browser Plex app. With the introduction of the official Plex VR app for Daydream, it’s much easier to watch videos in virtual reality. Using Plex VR, you can watch your video library on a massive virtual screen. It’s akin to using a projector How to Set Up a Projection-Based Home Theater, Step by Step How to Set Up a Projection-Based Home Theater, Step by Step Watch movies on the big screen, at home, with the perfect home cinema set up for any budget. Nothing beats the big screen experience for movies or gaming, but home theater is an expensive hobby... Read More , but without the space requirements of a traditional home theater projector The Best Projectors for Your Smartphone, Tablet, or Laptop The Best Projectors for Your Smartphone, Tablet, or Laptop Looking for the best projectors around? We've rounded up some of the best projectors for your smartphone, tablet, or laptop for all budgets! Read More and screen. There’s an interactive environment, such as an apartment or drive-in theater. In addition to watching videos, you may engage with the virtual environment by throwing popcorn, drawing the blinds, and more. Plus, Plex VR lets you watch with other people, and chat with them using the built-in voice chat function. On the video side, you can watch movies stored on your Plex media server or locally stored content in 3D, 180 degrees, or 360 degrees. However, the watch together aspect does require a Plex Pass subscription Plex Pass: What Do You Get for Your Money? Plex Pass: What Do You Get for Your Money? In order to know whether or not you need a Plex Pass, you first need to know exactly what you get for your money. Read More . Using Plex VR, you benefit from a portable television or projector experience in a compact package. Just slap on your Daydream View headset, and fire up the Plex app. Video quality ranges based on the file you’re playing back. Overall, it’s pretty solid, and there’s not too much screen door effect occurring. It’s a much better experience than simply watching videos on your phone. That’s because you don’t have to hold your device, and moreover, the screen appears much larger. Nevertheless, you won’t confuse Plex in virtual reality with a 4K home theater, or even 1080p cinema, but it’s a superb experience nonetheless. With Plex VR, Daydream now ranks among the best Plex clients The Best Plex Clients for Streaming Media The Best Plex Clients for Streaming Media What are the best Plex clients for streaming all the latest media? 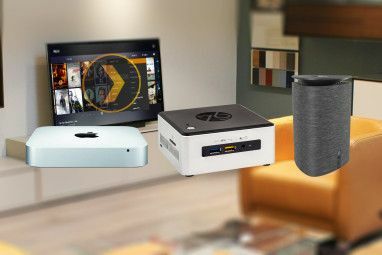 We've rounded up some of the best media-streaming devices around, including the Amazon Fire Stick, Playstation 4, Raspberry Pi, and more! Read More available. The Google Daydream View is one of the best VR headsets available Is the Discounted $400 Oculus Rift Bundle Worth Buying? 7 Alternatives Is the Discounted $400 Oculus Rift Bundle Worth Buying? 7 Alternatives Getting started with virtual reality costs a lot. Fortunately, the VR headset Oculus Rift (and its Touch controllers) just dropped to $399. It might be a good time to try VR. Read More . Since it’s affordable and compatible with an array of smartphone hardware, it’s a fantastic purchase for virtual reality gaming The Best Virtual Reality Games for Your Smartphone The Best Virtual Reality Games for Your Smartphone Looking to play games in a new dimension? Experience virtual reality using your smartphone, a compatible headset, and these awesome games. You'll love playing games in VR, and many are free! Read More and watching videos. First, start off by installing the Plex VR app. You can find this by either searching for Plex VR in the Google Play store or, from the Daydream VR homepage, search for Plex VR in the Play Store. Next, with Plex installed, open the Plex VR app on your phone, then place your phone inside the Daydream View headset. Alternately, simply open the Daydream app, put your phone in your VR headset, and open the Plex VR from the main Daydream app homescreen. You’ll need to have your Daydream remote paired to navigate both the Daydream app and Plex VR. Once you’ve opened your Plex VR app, Plex prompts you to log in. You can accomplish this one of two ways. Either enter your email address and password in the Plex VR for Daydream app, or enter the code at plex.tv/link using another device such as a phone, tablet, or PC. I found the Plex link method far easier than entering my Plex credentials using the onscreen keyboard. Once you’re logged in, enter the code generated by the Plex VR app. With that completed, you should see a message that your device is successfully paired. Now, put your Daydream View headset back on. With Plex VR activated, you may now begin using the Plex VR app. On the Plex VR homescreen, you’ll find a dropdown menu at the top. Here, you can select from the Plex media servers or DVRs you have configured. On the left-hand side of the screen, you’ll see options to pick your preferred environment, as well as your friends list. Clicking the cog wheel lets you choose between a loft apartment, deep space void, or drive-in theater. Within these environments, you can interact with objects. For example, in the drive-in, you can click the touchpad on the Daydream remote to honk the horn. Aiming the pointer at an object in the room such as a box of popcorn or soda can allows you to click the touchpad to select an item. Then, you may click the object again, and hold the touchpad this time to throw it. Also, under the cog wheel menu, you can select your avatar. There are a lot of avatars to choose from, and you can even change the color of the border around the avatar box. Similarly, you can move the screen around. To accomplish this, click the screen and hold down the touchpad, then drag the screen around with the Daydream remote. Or you may recenter the screen by performing a long press on the Home button. This automatically recalibrates the Daydream tracking. I’m a huge fan of Plex VR. As a film buff, I enjoy hosting movie nights with friends, whether at home, in a local movie theater, or through virtual reality. While I’ve previously used the awesome Rabbit co-watching service, Plex VR offers a streamlined means to watch with friends. You’ll find the friends screen on the left side of the screen. Whenever you watch a title, Plex prompts you to share what you’re watching. You may opt to share once, always share, or ask every time. Furthermore, you can add voice chat so that you and your friends can talk during the movie. That is if you don’t mind speaking during the film. One of the primary reasons I snagged a Daydream View headset was for watching videos. The likes of Netflix, Google Play, and HBO all provide VR apps for Daydream. I really enjoyed the Plex VR app for its polished interface and intuitive navigation. Everything from resizing the screen by swiping on the touchpad to touchpad library navigation feels natural. Picture quality is good, although there is some noticeable screen door effect, and a bit of jaggedness around the edges. A slight improvement to anti-aliasing should fix the latter. Still, Plex VR is on a par with other virtual reality video apps in terms of quality. Is It Worth Watching Plex in Virtual Reality? Ultimately, it’s totally worth watching Plex in virtual reality. Granted, it’s not the same experience as viewing movies and TV shows on a projector or an actual television set. Both my 720p projector and 1080p LED TV provide better image quality. However, since the Daydream is compatible with an array of handsets, your experience may vary based on the specific phone you’re using. Overall, I enjoyed the hands-free setup, massive virtual personal cinema, and quality of Plex VR. So I’ll personally give it a thumbs-up. Admittedly, Plex VR isn’t intended for daily use. It’s unlikely you’ll find Plex VR a proper replacement for a TV or projector, but that’s not the goal of this app. Rather, it’s intended for traveling, using on the move, or watching in bed. Perhaps your roommates are monopolizing the TV? Then just pop on your Daydream View, and fire up Plex VR. Long flight? Then just grab your Daydream and open Plex VR. Notably, it’s also a fantastic means to co-watch with friends. It’s super easy to set up, and awesome for a quick-yet-compact home theater experience. And if you want to get more out of Plex? Check out these must-know tips and tricks for Plex 8 Plex Tricks and Tips You Really Need to Know 8 Plex Tricks and Tips You Really Need to Know Plex is a stunning piece of software. Put simply, it lets you stream your media anywhere in the world, on any device, whenever you want. But there is so much more to it than that... Read More . What are your thoughts on Plex VR? Is virtual reality the way we will all watch films and TV shows in the future? Let us know in the comments below! Explore more about: Google Daydream, Media Server, Media Streaming, Plex, Virtual Reality.